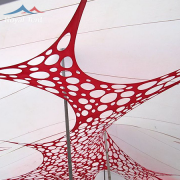 Tent decor for sale at unbeatable prices, Africa Tents is the leading supplier of tent decor in the nation. 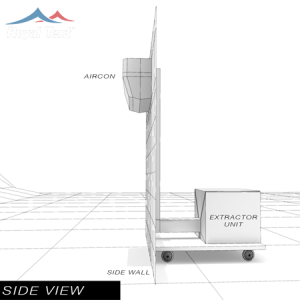 An innovative new and funky way to add life to your next event or special occasion. 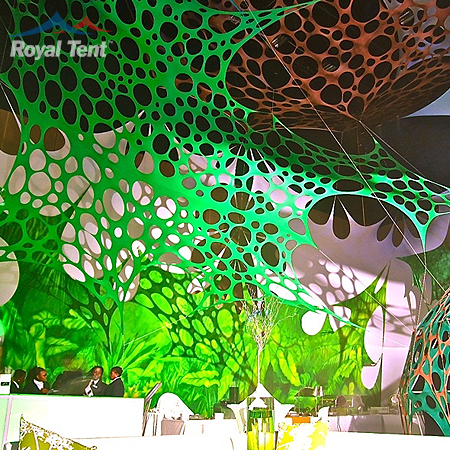 Tent decor will light up your event in more ways than one. 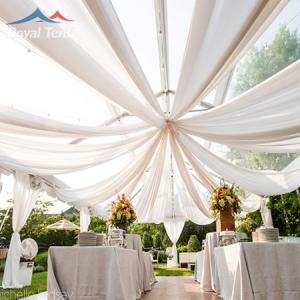 Tent décor can be used to enhance the visual effects created by a tent at a function and are often used by our clients to bring a corporate, wedding, staged or special events to life. 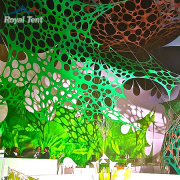 Tent decor fabric decorations are not only used to compliment functions held in tents, but are also used around the world to decorate Marquee tents, outdoor venues, international convention centres, shopping malls, stages, DJ Booths, roadsides and night clubs. 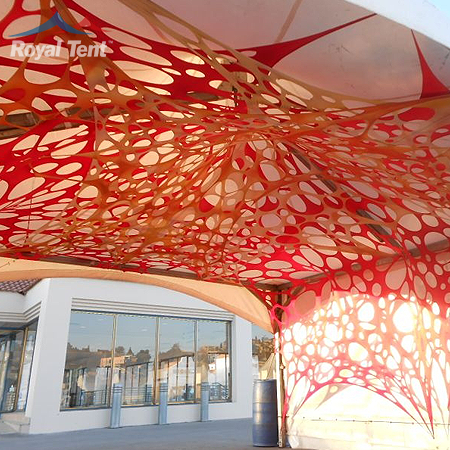 The versatility of a tent is immediately apparent when you apply different lighting schemes. Lighting is always a very important aspect of a special event, especially if the event is held at night. This is because lighting is used not only to increase visibility, but the use of intelligent lighting will enhance the entire special event experience. Go from a simple and elegant white wedding tent to a funky and festive feel with the flick of a light switch. Decor is used to make your event more memorable and spectacular whilst giving you a very professional feeling. We have decor for every event you can imagine. Decor is the way if you want your event to stand out from the crowd. 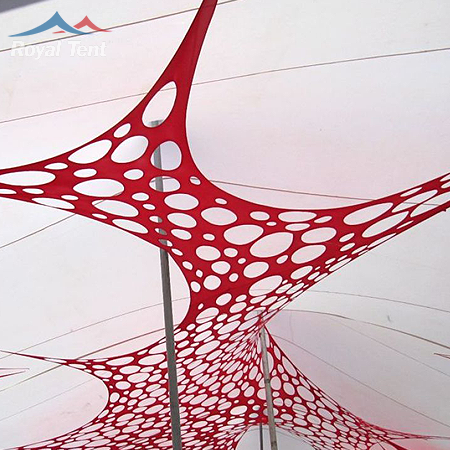 Africa Tents now leads the pack in tent decoration with a fully established Stretch Fabric decor department. Our team of young and talented designers are constantly developing new ideas and designs for all our clients’ Stretch Décor requirements. Working closely with our master tailors they produce exclusive and customised Stretch decor sets for hire and purchase in any number of brilliant combinations. Tents For Sale South Africa By The Leading Manufacturer. 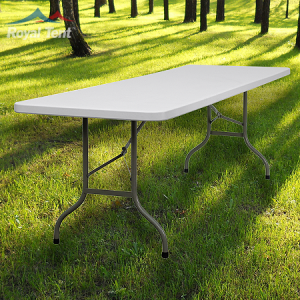 Buy Alpine Tents, Event Tents, Frame Tents, Peg And Pole Tents &amp; Marquee Tents For Elegant Venues. Tent manufacturing of worlds best tents in Durban. Buy exhibition tents, marquee tents for sale, function tents, party &amp; wedding tents. We are the leading distributor and wholesaler of tents &amp; marquees in Africa. 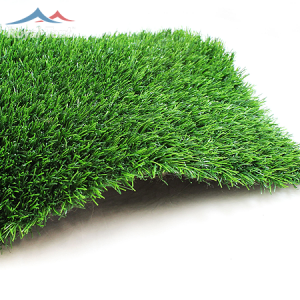 Our unique business was established in 2003 and since took the name of most talented and brilliant manufacturer. We are located at the heart of Westmead, Pinetown.